Abraham did not look like a street kid – he was healthy-looking, dressed well, and knew where the street kid ministries were located that could help him. He was unfortunately learning how to get what he wanted from the mzungus. This is not the only time I have been asked for food or money since arriving here in Jinja. I’m not complaining, it’s just caused some thought. I was asked by two different parents to help them sponsor their children in school since school fees here are expensive and many families have numerous children. Being in Jinja for just over a month now, I already see the power of money in a third world country. The easiest, quickest response is money, and we’ve done that too. Everyone wants just “a little bit more.” And don’t we as Americans have relatively a lot of it? So how are we to handle requests for money and food, especially when so many programs exist to help? It’s interesting that there is an example in Scripture about money that leads us to what I think part of the answer is to this dilemma. At first glance, the story may not seem to connect with this blog, but think about it more deeply. How much we matter to God, if we just stop for a while and consider! He desires a strong relationship! So much that He didn’t just throw money at us, but rather He cares for us more than a nursing mother does her child. 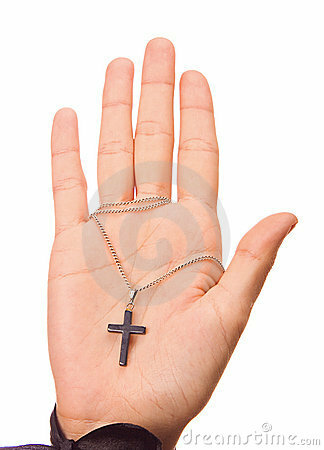 He took the inscription of our sins onto His palms through the nails that held Him to the cross. I am learning this point: relationships matter and we must make the time to engage people in our busy world and not just hand out money. Love people – that should include engaging them while feeding them or helping them and tell them the Gospel reason why we are helping them. Should we feed or give money in all cases? I believe we should follow the lead of God’s Holy Spirit. An important question might be: Does handing generous sums of money out, bring those in need to depend on further begging or depend on Jesus? Little Abraham had engaged me – whether for legitimate reasons or not, I do not know. As Abraham and I were talking, I thought about Abraham’s request for food. He knew the ministries where he could get food. I did sense the Spirit asking me to engage him and we talked about real bread – the Bread of Life being Jesus. I trust this was the appropriate response in this situation. It has also reminded me of the importance of my quiet time in order to be prepared to face who God is leading to me that day.